University of Delaware Horn Entrepreneurship Masters student Garry Johnson ran a successful second year of his I Have a Dream Pitch Competition. 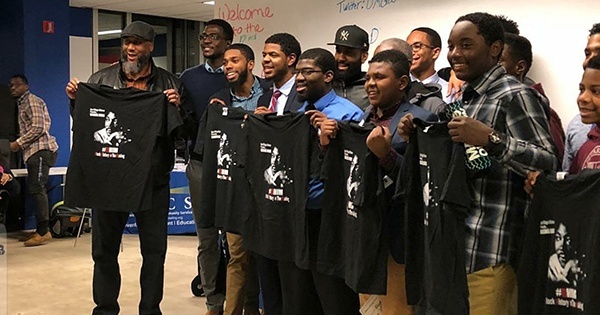 The event is designed to empower young men and boys of color in the city of Wilmington through entrepreneurship to inspire confidence and improve problem solving skills. The competition first ran in January 2017 at 1313 Innovation in Wilmington. Johnson used his experience from Horn Entrepreneurship pitch competitions to model the layout for his own pitch event. Johnson was also able to use the connections he forged through his experiences to gather support for the event. Fast forward another year to January 9, 2018 and Johnson was running the event again, this time hosting the competition at The Mill in Wilmington. Joel Amin, CEO and co-founder of Wilminvest, formerly Trade Link Pro, the winner of the 2017 competition, acted as a judge for the 2018 event along with other notable Wilmington entrepreneurs. Each of the judges raved about all of the participants and the winners. After the registered participants pitched their ideas, Johnson invited anyone in the audience to pitch on the spot. Graham was the first to volunteer and his spontaneous presentation was followed by Adel Davies, a young woman who pitched her idea centered around positive body image for young women.